The past few years have shown that risks in banking can impose significant costs on the economy. Many claim, however, that a safer banking system would require sacrificing lending and economic growth. 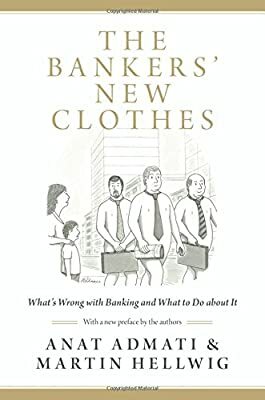 The Bankers' New Clothes examines this claim and the narratives used by bankers, politicians, and regulators to rationalize the lack of reform, exposing them as invalid. 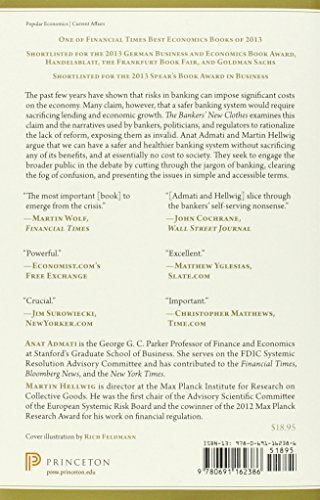 Anat Admati and Martin Hellwig argue that we can have a safer and healthier banking system without sacrificing any of its benefits, and at essentially no cost to society. They seek to engage the broader public in the debate by cutting through the jargon of banking, clearing the fog of confusion, and presenting the issues in simple and accessible terms.